As a queer craft artist I am not interested in maintaining the tradition of mastering techniques and reproduction of known forms, there is no space for queerness in mastery. Instead I use my haptic knowledge of bodily difference as a foundation for my techniques and craftswomanship that undermines the hierarchical understanding of worth, value, and function. 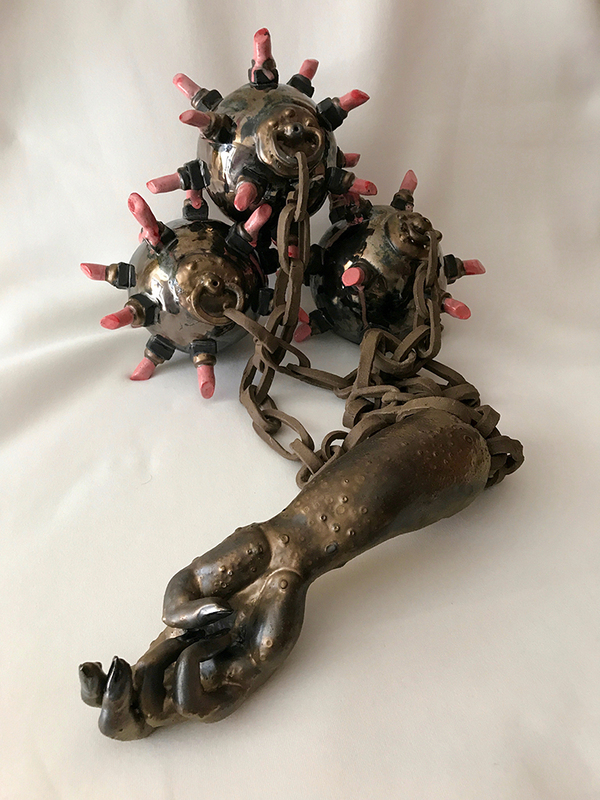 By interrogating the normative constructs of bodies and vessels, I bring forward concepts of body autonomy, interconnectivity, and pleasure as the defining forces of being human. The pieces ripple with the tension between seduction and repulsion, the forms draw the viewer in with the trappings of femininity and bright colors and push people back with the raw edges of abject queerness and fragility. I am interested in ritualized femininity and the brutal side of pink. 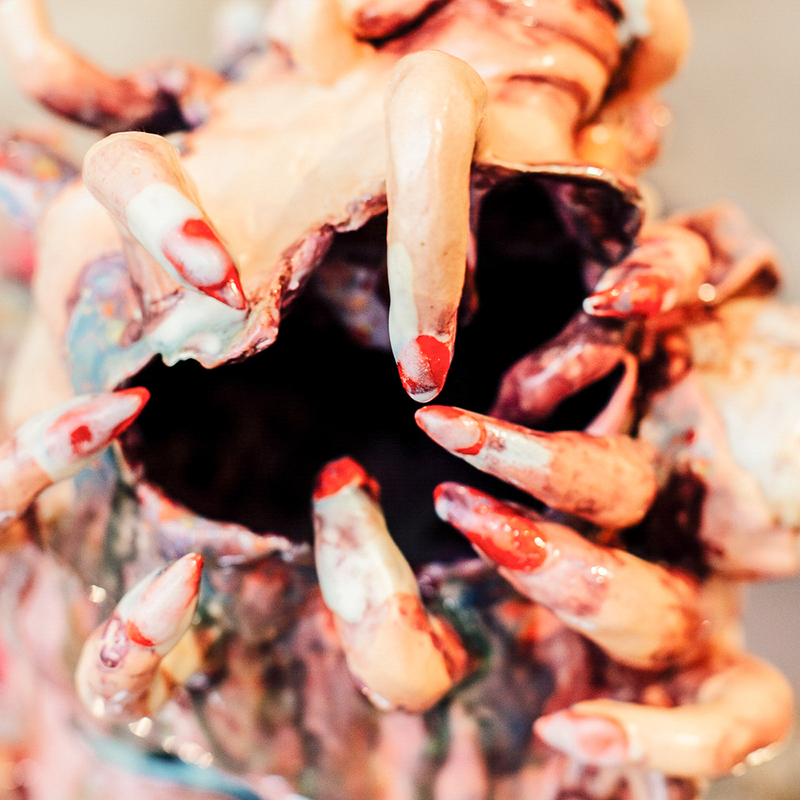 Caitlin Rose Sweet is an installation, ceramics, and textile artist based in Brooklyn.